Engine 5 is a 2003 Spartan 6-person cab with Ferrara Body. 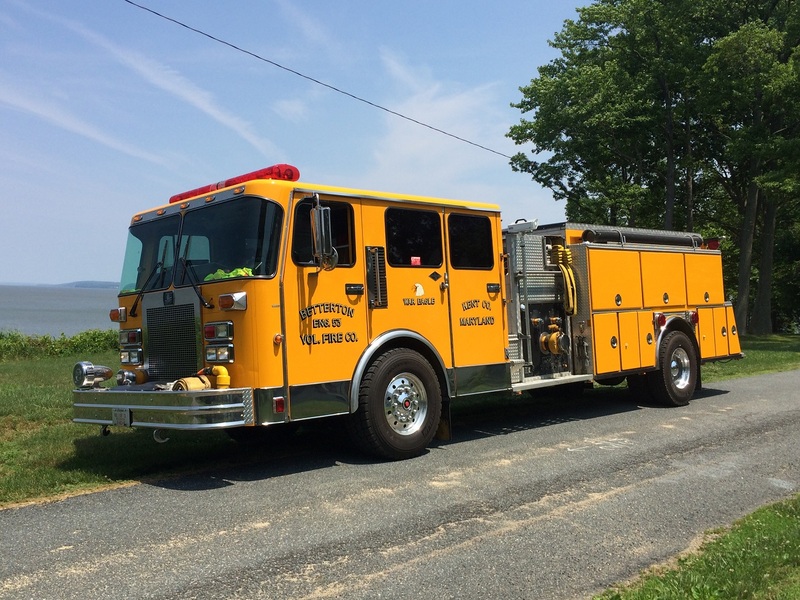 Engine 5 is outfitted with a 2000 gpm Hale Fire Pump with 1000 gallons of water, a 30 gallon foam tank, 2000 ft. of 4-inch supply line, 1000 ft. of 3-inch hose and 500 ft. of pre-connected 1-3/4 inch attack hose. Additional equipment includes a on-board generator, 2 permanent mounted lights, 2 tripod removable lights and assorted hand tools. 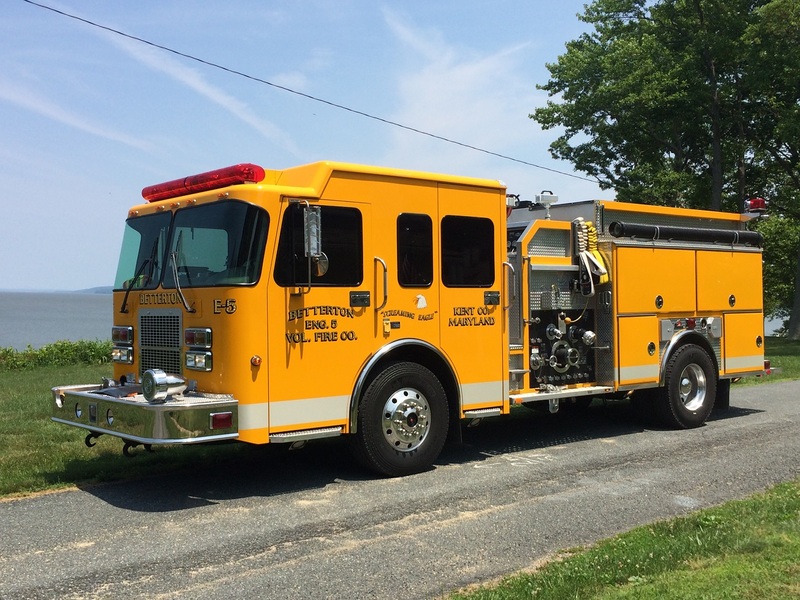 Engine 53 is a 1988 American Eagle 1500 gpm pumper, holding 1500 gallons on board, with a 10-man Spartan cab, 1200' 4" supply line, 500' 3", 550" of 1.75. Engine 53 also carries a complement of rescue tools which meet the Squad standard for Kent County. 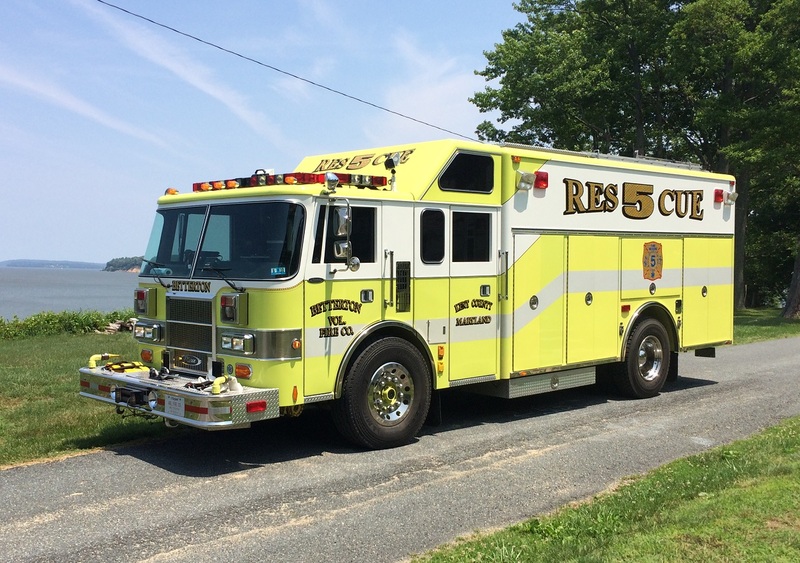 Rescue 5 is a 1992 Pierce Lance, 6 man cab with a walk in body and a command area. Rescue 5 carries 250 gallons of water, 30 gallons of foam and has a 400 GPM pump. In addition, Rescue 5 has a 4 bottle 6000 psi cascade system, a complete Hurst rescue tool system, Rescue 42 struts and a Hurst rescue air bag system. 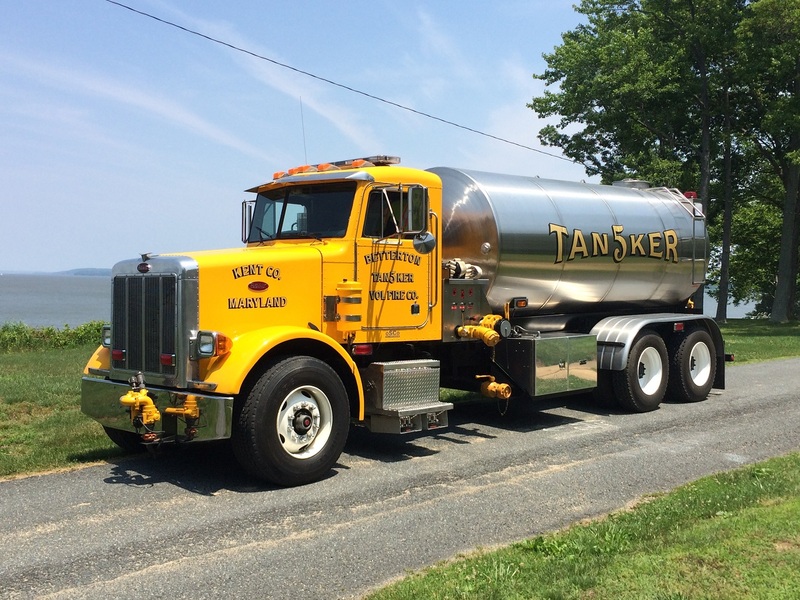 Tanker 5 is a 1998 Peterbilt with a 3500 Gal tank by Osco Tank Company. Tanker 5 is outfitted with a 400 GPM pump, front turret, two 1.75" crosslays and a rear quick dump. Brush 5 is a 2007 Ford F-350 equipped with a forestry skid unit with 250 gallons of water and a 250 GPM pump. 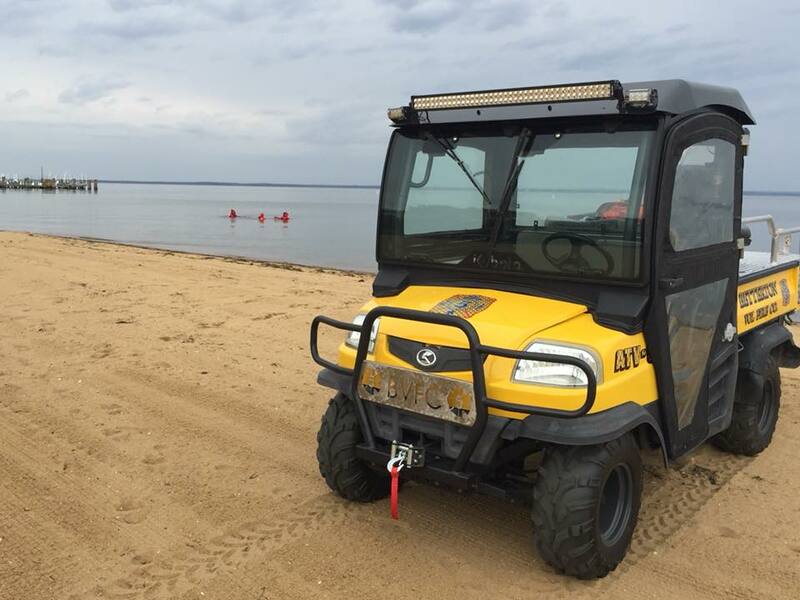 Equipment includes a foam inductor with 5 gallons of foam, 5 KW generator, two flood lights, a front and rear removable winch and an assortment of hand tools. Special Unit 5 is a 2001 Chevrolet Suburban 4-wheel drive, 3/4 ton. This unit is equipped with Basic Life Support (BLS) first responder equipment. 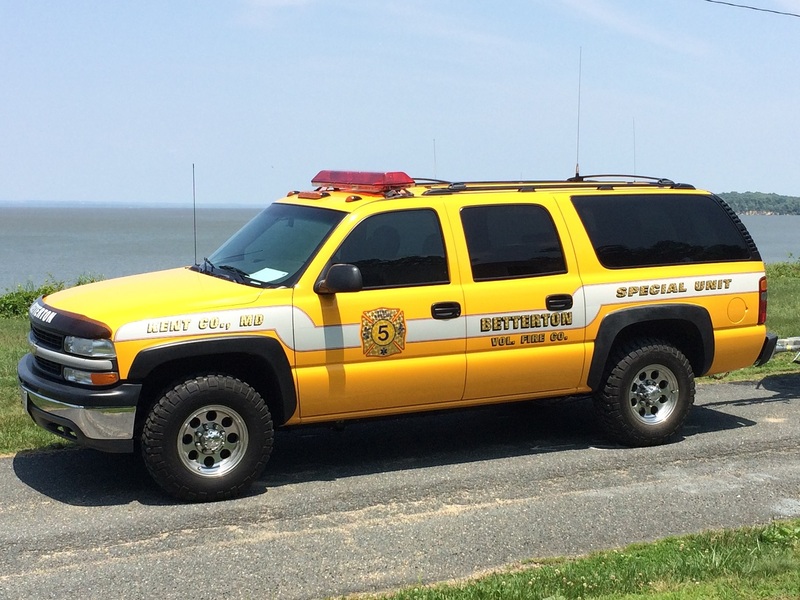 Special Unit 5 is also utilized to tow the rescue boat and for transporting members to and from training classes. 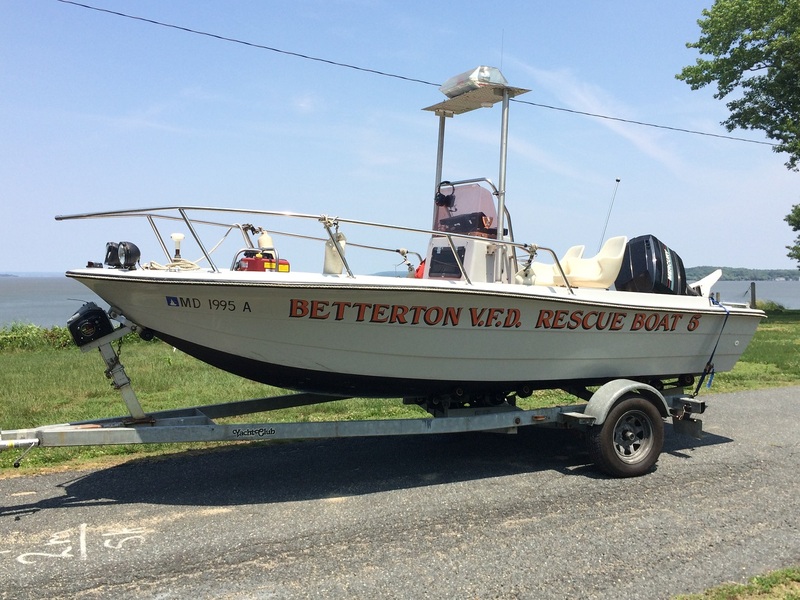 Boat 5 is a 1997, 17-foot VIP Rescue dive boat with a 135hp Mercury Blackmax outboard motor. Boat 5 is equipped with a 250gpm floating fire pump and carries a foam inductor with 10 gallons of foam. Ambulance 5 is a 2001 PL Custom E-450 diesel. Ambulance 5 is equipped as an Advanced Life Support (ALS) unit, and meets the Maryland Seal of Excellence standard. ATV 5 is a 2009 Kabota RTV9000. 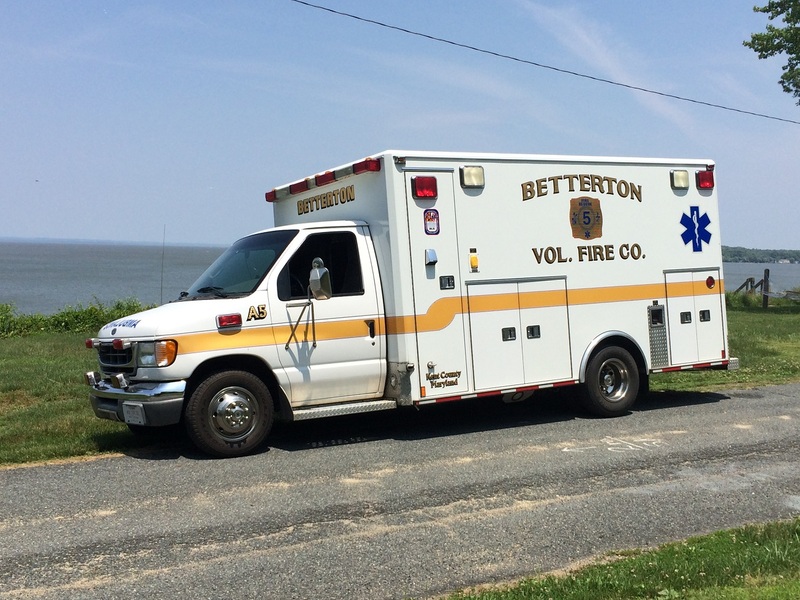 This unit is equipped with a medical stretcher for off road emergencies. Also has a brush/forestry capabilities. 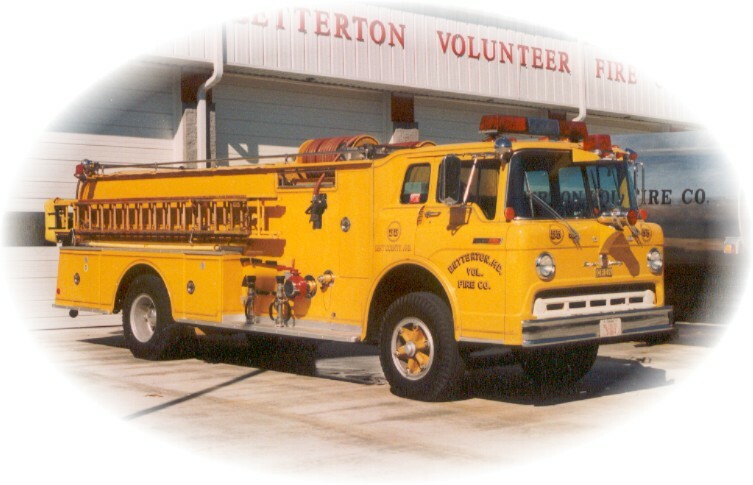 Engine 55 was a 1969 Ford Oren pumper, 750 gpm, and held 1500 gallons on board. Engine 55 was the first yellow piece of equipment owned by the company. 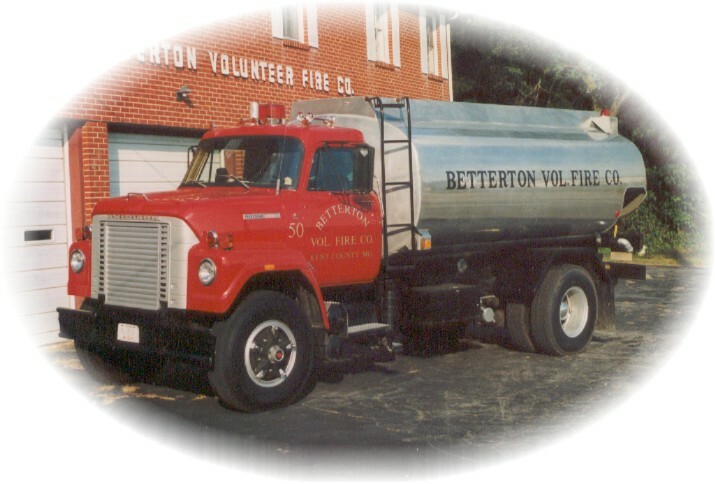 Tanker 5 was a 1975 International Fleetstar 2050 Diesel. Tanker 5 carried 3250 gallons of water. Dive 5 was a 1984 Revco multi use vehicle, with a 454 engine. 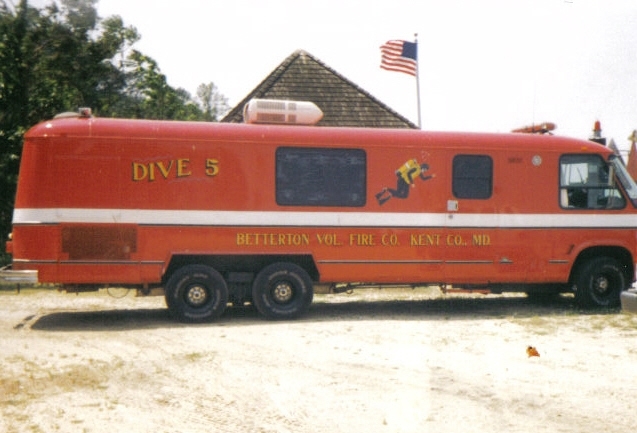 Dive 5 was previously used in Desert Storm prior to coming to Betterton. 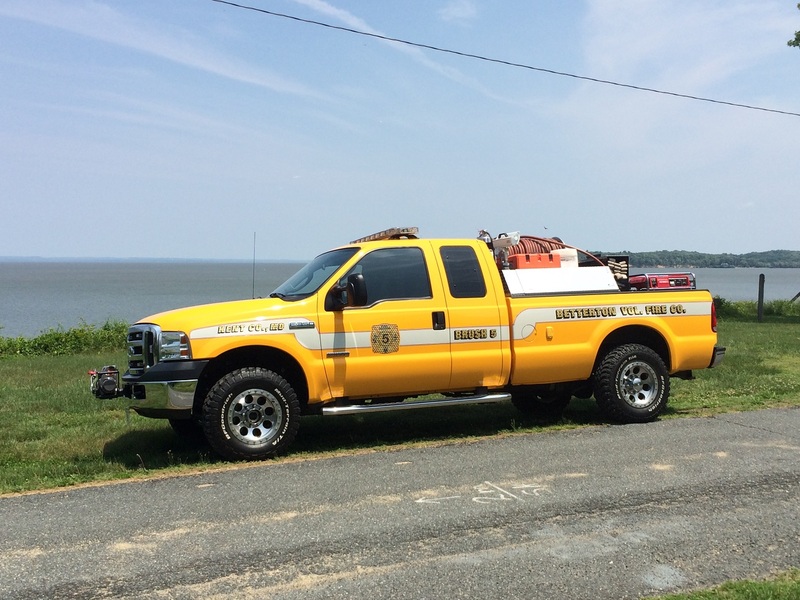 Dive 5 was used as a command post, but more prominently, transported the 12-man rescue dive team and their equipment. Dive 5 had an on board generator and a 2400 lb, 5 bottle cascade system. 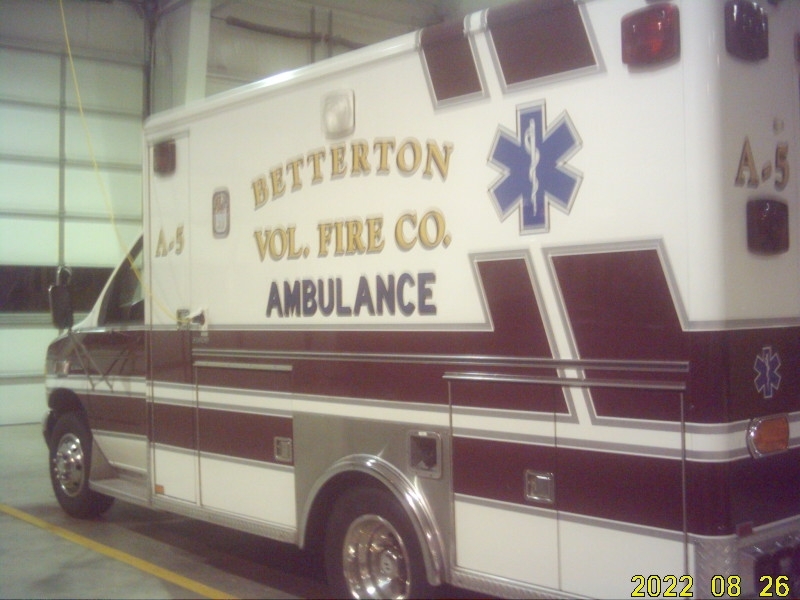 Ambulance 5 was a 1993 Horton E350 Diesel with an international 7.3 liter engine.